NBC OLYMPICS. BE THERE, WHEREVER YOU ARE. Experience the best of the 2012 London Olympic Summer Games with the NBC Olympics app. Get prepared for the Games now by checking out news, video, photos for every sport and all Team USA athletes. Plus, you can follow your favorite sports, teams and athletes, and engage with other fans on Facebook, Twitter and Google+ — all from your iPad, iPhone, iPod touch. During the Olympics, you can follow every event from London, including real-time results & schedules, medal counts and TV & Online listings. And during the nightly Primetime Show televised on NBC, the app will feature a second screen experience that makes a great companion to the on-air broadcast! Use the new “tour guide” to easily discover exciting new places to explore. With a quick swipe on the tab at the bottom of the screen, you can bring up a selection of virtual tours from around the globe. With new 3D imagery, you can now fly through complete 3D recreations of select cities, including San Francisco, Boston, Rome, and others. With every building modeled in 3D, you truly get a sense of flying above the city. 3D imagery is available on iPhone 4S and iPad 2 or later. FREE FOR NEW SPACE CONFERENCE – THRU JULY 28th, 2012! Yes, you can launch a satellite – see www.skycube.org! SkySafari 3 comes in three versions. This is basic version of SkySafari 3. It shows you 46,000 stars, plus 220 of the best-known star clusters, nebulae, and galaxies in the sky. It displays the Solar System’s major planets and moons using NASA spacecraft imagery, and includes the best-known asteroids and comets. SkySafari 3 accurately shows you the sky from any place on Earth, at any time up to one hundred years in the past or future. It includes encyclopedic descriptions of the constellations, stars, and planets written by professional astronomers. And it contains hundreds of images from NASA space missions, the Hubble Space Telescope, and the world’s foremost astro-photographers. If you have an iPhone/iPad with a compass, or an iPod Touch with a gyroscope, SkySafari can help you identify stars and planets by holding your phone next to them. Tap the Compass/Gyro button (or shake your phone) to activate the compass – now, as you move the phone around, the sky chart follows your motion. Search for any object in the sky, and follow the arrow on screen to find it! SkySafari 3 has a “Night” button to preserve your dark adaptation as you’re exploring the night sky. The Time Flow feature lets you animate the night sky using simple VCR controls – follow the motion of the stars and planets as SkySafari compresses days, months, and years into a few seconds. SkySafari 3 includes SkyWeek – the mobile version of Sky & Telescope Magazine’s super-popular “Sky at a Glance” column. SkyWeek features interactive sky charts for each day of the week, and links to more articles on S&T’s website. SkyWeek shows you all major sky events: eclipses, conjunctions, good meteor showers — miss nothing! And all this is just in the basic version! SkySafari’s streamlined user interface puts both power and simplicity into your hands – and turns your iPhone, iPad, or iPod Touch into an invaluable tool for exploring the night sky. SkySafari is more than a star chart – it’s your celestial travel guide! 1) Lost comets like 3D/Biela are no longer shown after their last observation date. 2) Binary stars like the Double Double are no longer erroneously linked to double stars with the same WDS number. 3) If you touch the screen while panning to an object, the chart jumps to the object rather than just stopping where you touched. Download the @FreeAppADay.com Store App and wish for more top rated paid apps like Groove 2 – Music Player to become FREE for a day! Groove for iPad has been renamed to Groove 2 and is now a universal app that works iPhone, iPod touch and iPad. * Control playback from any screen using the mini player. – Home Sharing is not supported by Groove. No more taps! Couldn’t be easier. For using this feature you have to download Swipy Desktop Software from our site. -Ability to use different email for saving your notes. Use this option if you want to integrate Swipy with other popular services. -Fixed multitasking issue. Now Swipy runs in background. Fast and fluid, the all-new Cooliris enables you to discover all your photos in one place. Seamlessly browse photos from your iPad or iPhone, Facebook, Instagram, and the web. Then selectively share them with your close group of friends. Swipe, pinch, and zoom to efficiently navigate through photos on a stunning 3D wall and collaborate with friends in private 1-on-1 or group conversations. Want all your Facebook friends to see select photos? Easily share them to your Facebook Timeline! There’s nothing like it. Download now and find out why people are calling it the “best springboard for discovering photos”. ✔ Fast, fluid, and visually stunning interface. ✔ View and share photos from your library, Facebook, Instagram, and the web. ✔ Interact with photos on a stunning 3D wall. ✔ Collaboratively share photos in private conversation or post them to Facebook. ✔ Stream photos to Apple TV via AirPlay. ✔ Works on iPad and iPhone. ✔ Free and unlimited photo uploads. Introducing the all-new Cooliris, the fastest way to discover, experience, and share photos from your library, Facebook, Instagram, and the web — all in one place. Enjoy speed, fluidity, and an incredible visual experience. 8tracks is internet radio created by people, not algorithms. People who know and love music curate an online mixtape with 8 (or more) tracks, including title, art and tags. Listeners stream playlists for any mood or occasion, from every genre and country, providing an unparalleled source for music discovery. Here’s your chance to build your own Jurassic Park from the ground up! As a Park owner, nurture and grow various dinosaur species through the discovery of amber filled with dinosaur DNA. With help from your friends, turn the DNA into eggs, place them in your park and grow them until they reach adult size. To evolve, your dinosaurs have to be fed plants or meat depending on their respective diets. As a Park manager, you’ll need to make sure your park is constantly fueled with enough goods to feed all the dinosaurs by managing the flow of imports at the port. Finally, build a road for your visitors so they can go around and explore your creation. • 30 different dinosaur species to collect & grow. 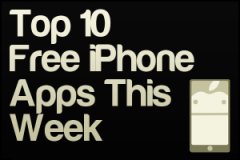 Download the @FreeAppADay.com Store App and wish for more top rated paid apps like Squarescape to become FREE for a day! An exit you think will set you free only leads to another colorfully unfamiliar area. The chance to return to where you once were depends solely on the power of a small circle and your own ingenuity. Navigate the puzzled scape of unknown worlds to rediscover where you belong. ☆ In Top-10 games in over 100 countries! Check out yourself why people love it! – Book a trip. It will be first class! ➠ (NEW!) ROYAL ENVOY – Take the King’s challenge! ➠ CALL OF ATLANTIS – Heed the call and save Atlantis in this award-winning puzzler! Playrix games are available for iPad and Mac. Search App Stores for “Playrix”.